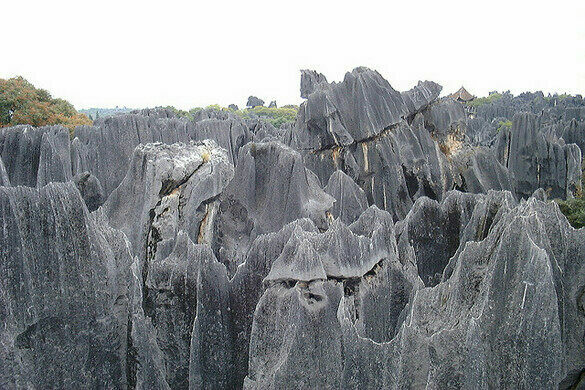 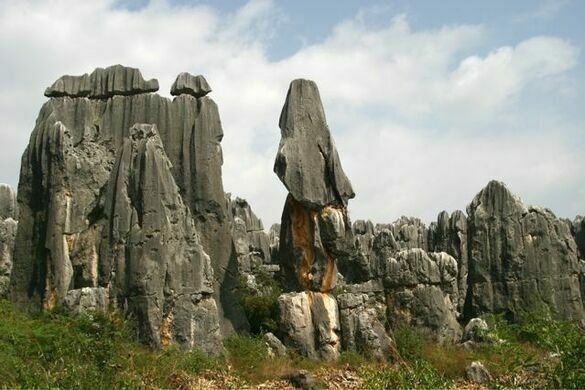 In China’s Yunnan Province is the famous stone topography of Shilin, meaning “stone forest.” Covering an area of three-hundred square kilometers (or 186 miles) the stone forest is a massive otherworldly landscape of karst formations over 270 million years old. 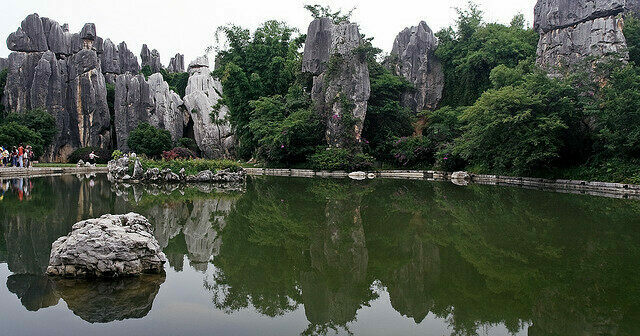 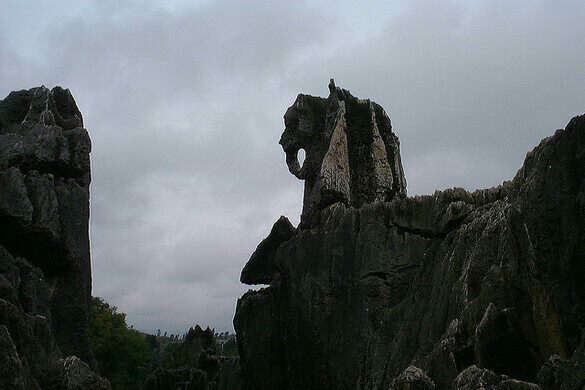 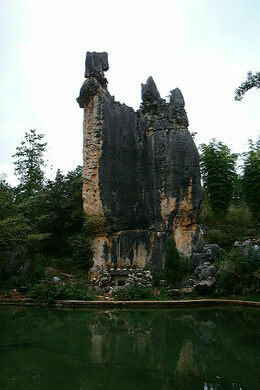 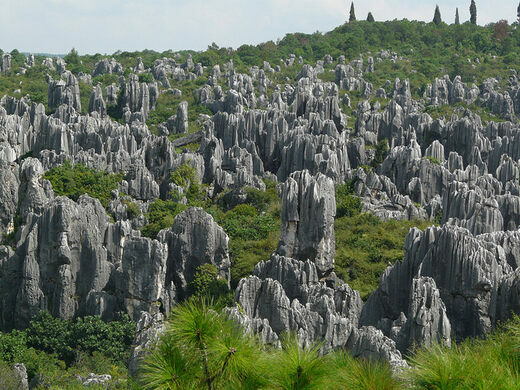 Over the millennia seismic activity and water and wind erosion have carved the present-day limestone formations. 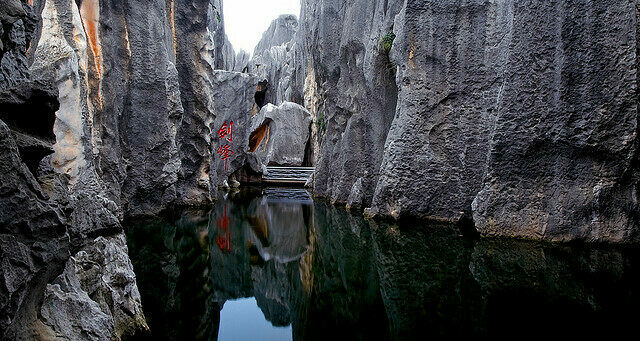 The giant stalagmite-like pillars create huge arrays of labyrinths that are easy to become lost in. 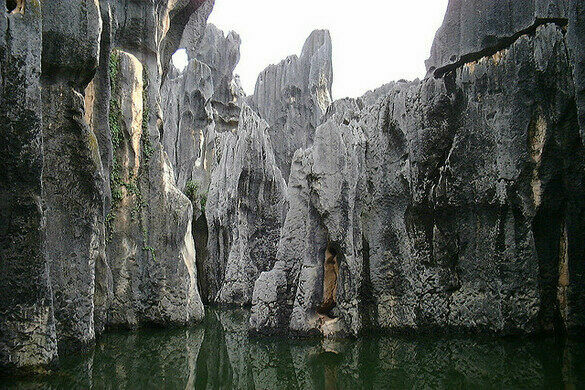 Shillin is divided into many smaller stone forests and features caves, waterfalls, ponds, a lake with an island, and even an underground river. 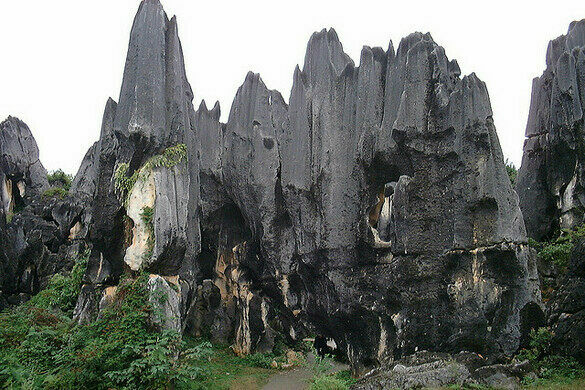 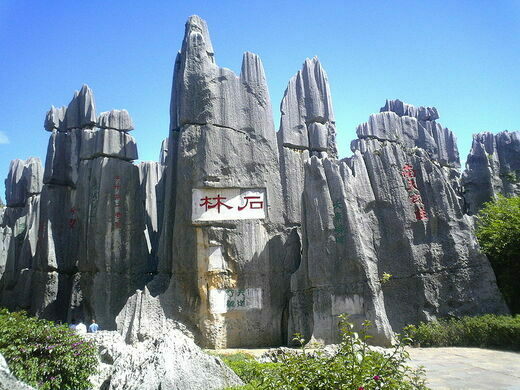 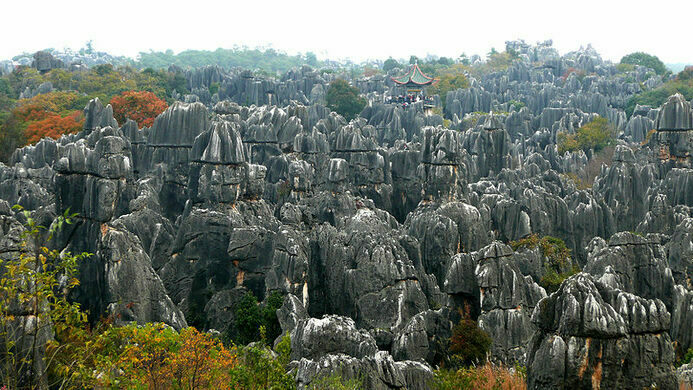 Two of the smaller individual stone forests, Naigu Stone Forest and Suogeyi Village, are a part of the South China Karst, a UNESCO World Heritage Site.